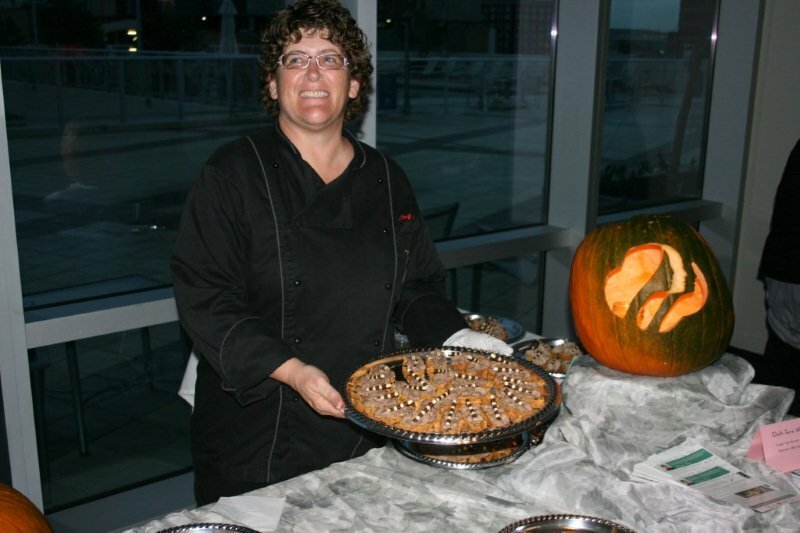 I didn’t win the the pumpkin looked awesome and the biscotti were amazing! Please get my your address. 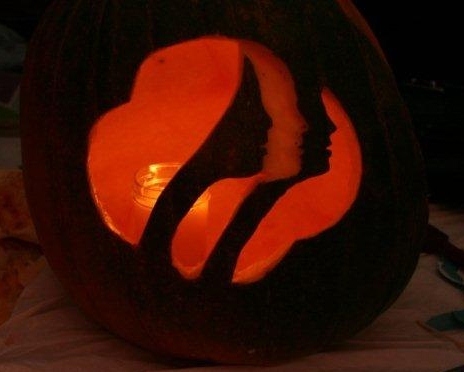 This is the carving A Chef of Your Own is doing for tonights “Chefs Gone Wild” tasting event for Citrus council. More pictures tomorrow. 350 degree oven 30-35 minutes until golden. Let cool. cookie tray and bake an additional 10-12 minutes until golden. Combine all ingredients and whip until stiff peaks form. A Chef of Your Own will be in the Altamont Fresh Market today, October 22, from 3-6. Stop by to try an awesome fall salad and pork dish. mixture, toss lightly to coat the leaves and serve immediately. If using dried cranberries, toss them in last. Here is practice for dessert A Chef of Your Own will be making this Friday night at a bachelorette party with a french theme. 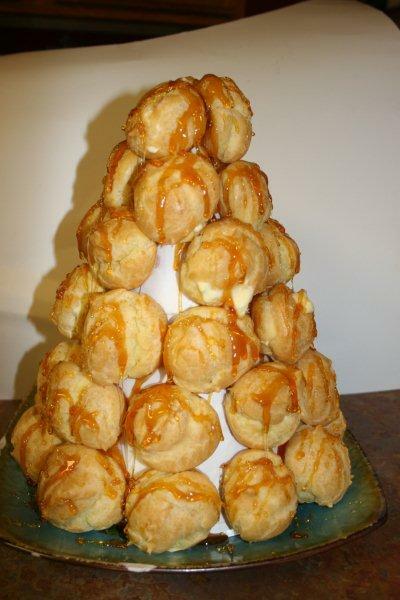 These are cream puffs attached to a cone with carmelized sugar, drizzled with more of the same. Will finnish with sliced almonds Friday night. Can’t wait to try this one out. I made the cone out of poster board, making a half circle and rolling it into a cone. I then made another half circle out of parchment paper and secured it to the poster board cone. Bring water and butter to a boil. Add in flour and stir vigorously until mixture pulls away from the sides of the pan. Remove from heat. Stir in eggs one at a time until creamy. Pipe out or drop into 1 inch balls on sheet pan. Bake in 350 degree oven about 20-25 minutes until golden. Turn off oven and leave in until cooled. For the filling I made cooked vanilla pudding and mixed it with an equal part of lightly sweetened whipped cream(1 cup heavy cream with 1/6 cup sugar, whipped until stiff peaks form) Fill the puffs and set aside. In a heavy sauce pan bring 1 1/2 cups of sugar to a boil with 1/8 cup water. Rinse down the sides of the pan until all the sugar is melted. Let cook undisturbed until light brown in color. Being very careful, dip the bottoms of the puffs into the carmalized sugar and “glue” to the cone, starting at the bottom and working up to the top. Once all of the puffs are attached, drizzle the remaining sugar on the puffs. Sprinkle with sliced almonds if desired. 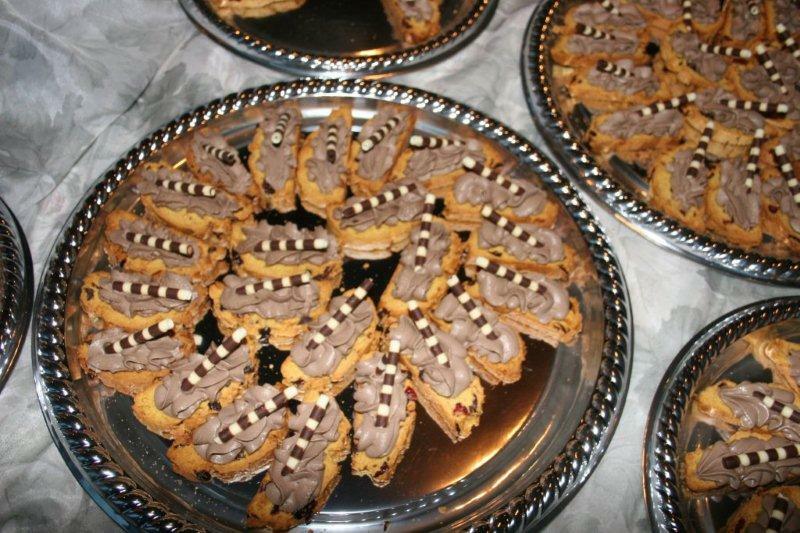 Here is a recipe A Chef of Your Own prepared for Bill and Elizabeth’s anniversary celebration. Saute onion in butter and oil, 3-5 minutes until translucent. Add flour and stir until well combined. Slowly whisk in milk and stir until thickened. Add cheeses and melt. Stir in cooked pasta. Spray large foil muffin tins. 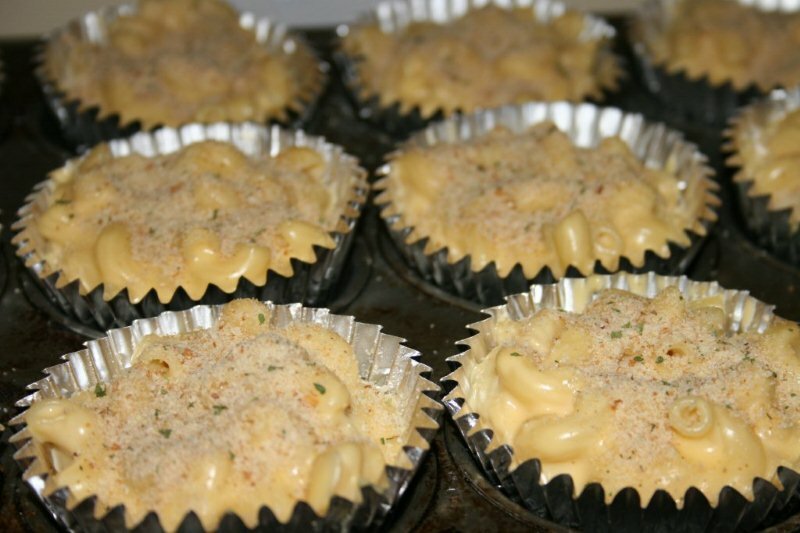 Add about 1/2 cup mac and cheese to each prepared muffin tin. Sprinkle with bread crumbs and bake 30 minutes in 350 degree oven. Serve immediately.